It is outside of our remit here to dissect all of that; I bring it up only to say that if you are looking for a conventionally masculine fragrance, Pierre is still your best bet. (If you don't care about gender, do smell all three. I smelled them quickly on blotters and Pierre was the first I wanted to spend time with.5) Perhaps it is true that "it smells like a male perfume but within its core a female mystery", but it is hardly what I'd call unconventional. Some men may not like it, but I'd be surprised if a man thought it too feminine. The opening calls to mind a mild, lightly sweet shaving cream fougère with accents of citrus and almond, and an aromatic undertone that might or might not be lavender, completely de-clawed. The first scent it evoked was Prada Amber Pour Homme, which by the way, also had within its core a female mystery, if you take that to mean that reportedly many women went ahead and bought a bottle for their own use. They part ways on the dry down, which in Pierre's case is an airy woody-musk with a vaguely vetiver-ish earthiness and a vague mineral effect. (If you want more dirt and rock, you probably want Terre d'Hermès.) I have not seen notes listed anywhere, but the official description includes an "almost smoky intensity", and that's true if you put the emphasis on the "almost" part more than the "intensity" part. Some of the creaminess (and the "expensive soap" aura) of the opening remains, but the whole thing is transparent enough that you could surely wear it even in very hot weather. Verdict: I like. I'd love to have the 40 ml, and the 40 ml bottle happens to be cute as a button, but even 40 ml is more than my self-imposed 30 ml limit. I may become a serial sampler, which is pretty much what I've done with Amber Pour Homme. If either scent came in 15 ml, I'd own it. I will add that I loved the bottles just as much in person as I did when I first saw the images online. That doesn't always happen. And yes, they look fantastic all lined up in a row. 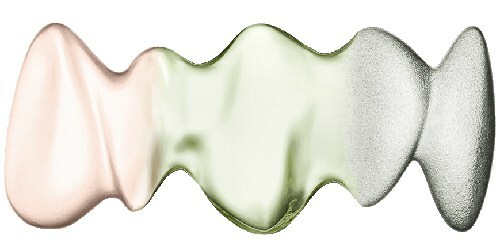 Starck Paris Peau de Pierre Eau de Toilette was developed by perfumer Daphné Bugey. It is $100 for 40 ml (shown below, with Peau de Soie and Peau d'Ailleurs) or $150 for 90 ml (shown just above). A coffret with all three fragrances in 40 ml is $275. 1. Starck talked about gender quite a bit in interviews around the launch, too much for me to repeat in detail here, but he did say that "one theme that has always interested me was gender in all its freedom, its variety and complexity" (see philippe starck interview: 'peau' fragrances collection for starck paris at designboom), and note that in at least one of the campaign's images, it's clear you are not meant to immediately assign a gender to each scent. 2. Generally speaking the fragrance industry hates the word unisex and so you'll usually see one of a number of euphemisms, from genderless to gender-free to "for everyone", and I have not seen Starck refer to Peau d'Ailleurs as unisex. Instead, he called it "asexual" (Ibid.) 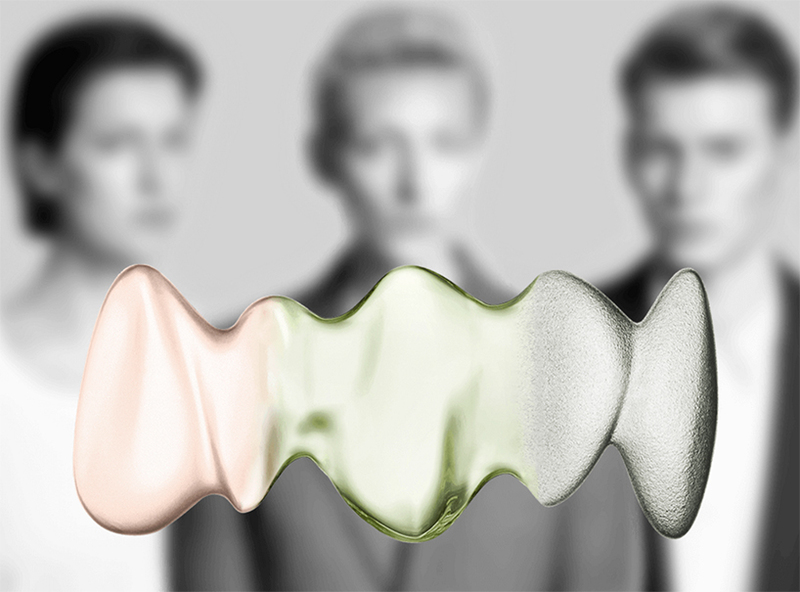 and for "a new generation — the future who are not a man or a woman" (see philippe starck made a fragrance for non-binary people at i-D). 3. 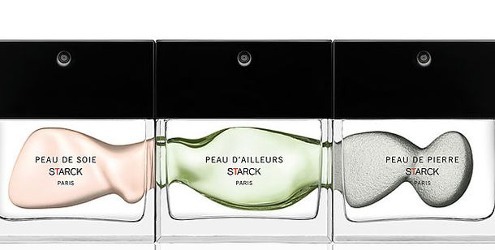 Via Philippe Starck Makes Fragrance Debut With Parfums Starck Paris at Women's Wear Daily (where they still use capital letters). 4. Via designboom, see footnote #1. 5. Which is not to say I would not have liked to spend time with the other two, but that I was only able to snag one sample. If you've spent time with Peau de Soie or Peau d'Ailleurs, do comment! Hmm… a lot of “vague” and “almost” thrown around there. But “expensive soap” sounds good. Thanks for the review, Robin. Have a great weekend! Mild expensive soap is a pretty good way to describe this scent — it’s milder than the Prada. These look more interesting than most things famous people have done with scents. If I can find them, I’ll definitely give them a go. I can already tell I’m going to love the bottles. I would say that’s true…I didn’t think any of the three was really unconventional, but none of the three were dreck either. Apparently his mother had a perfume shop, which I never knew. I am drooling over the bottles…. They are so cute. The one drawback is they’re way cuter together than any of them are individually. None of them are as “striking” or unusual as the bottles, it is true, and this is the only one of the three that really grabbed me. I have read some nice reviews of Peau d’Ailleurs especially, so will try to get a sample of that one when I can. I will check Peau de Pierre again! Never hurts, but if you hated Prada Man you might hate this one too. I liked the minerally Peau d’Ailleurs best, but not enough to purchase. The bottles do look nice lined up together. Thanks, I do mean to try that one. For some reason PS’s guy comments remind me of a book I’ve been reading, called Man Up: Surviving Modern Masculinity by Jack Urwin. The phrase “toxic masculinity” is used a lot. I almost went to google “toxic femininity” to see if that exists too, then decided no, I’d just as soon not know about it. I smelled these at Bergdorfs but I was too lazy to take notes and don’t recall which one I liked best. I got distracted by bottles from another line that looked like sparkly cupcakes or glittery pincushions. House of Sillage, I bet! That’s it! It probably should be called House of Dreck. They should do a coffret of minis!